After years of planning, these divers plunged over 400 feet underground into the deepest underwater cave in the state of Florida. 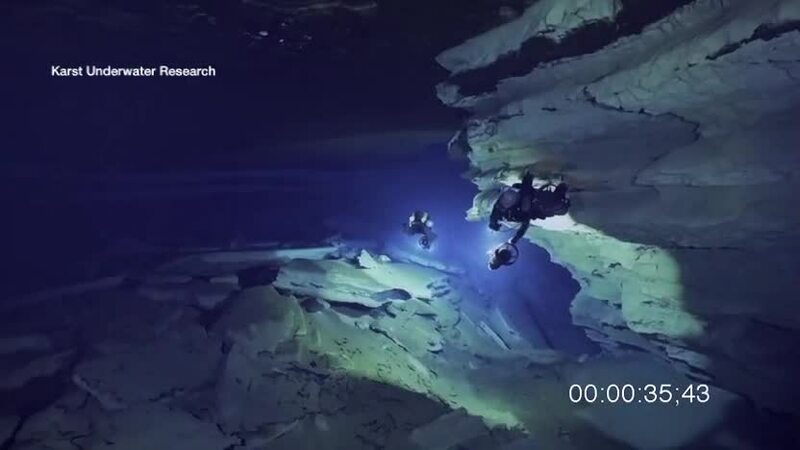 SPRING HILL, Fla. — After years of planning, a group of divers plunged over 400 feet underground into the deepest underwater cave in the state of Florida. "Just amazing," Brett Hemphill, one of the divers said. He compared the feeling of the dive to weightless mountain climbing. The group who took on this 11-hour dive want to make it clear — this is dangerous. They have a combined 70 years of experience between them and it still took them years to plan. "It may look easy, but people should know this has taken years and years of progression and training," Hemphill said. 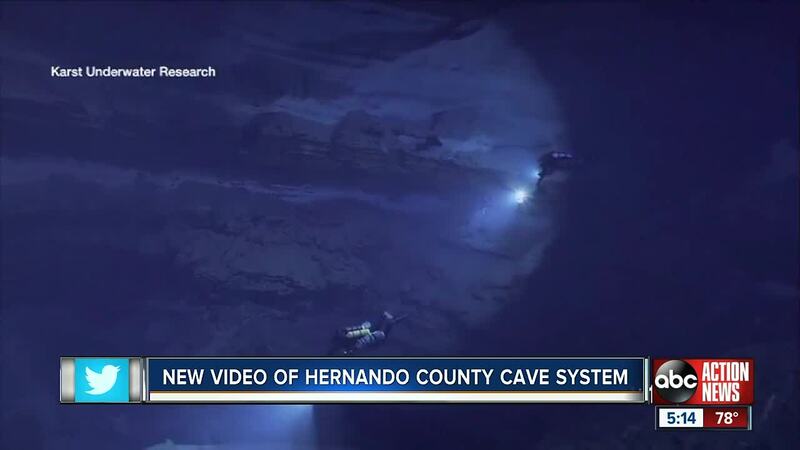 The cave is located under Weeki Wachee Springs and U.S. 19 in Hernando County. The group recorded their journey, and hope Floridians and scientists who see it understand just how important the river and the caves are our to the state. "This is an incredible river that people enjoy, but the river continues thousands of miles," said Hemphill. "I think it's important that scientist recognize that sinkholes and cracks, and the areas over these types of features have to be protected." Diving in the caves is very dangerous and if you don't have the experience or training, don't try it. At least a dozen people have died in caves since the 1980s, according to officials. "It's just as dangerous as if you want to mountain climb," Hemphill said. "You wouldn't go to Mount Everest on your first climb."